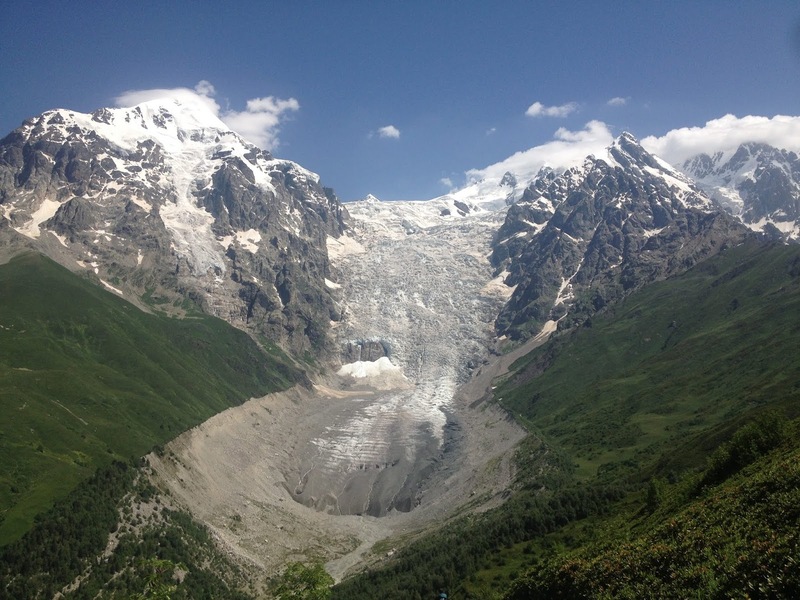 Aga Polish volunteer - "What summer in Caucasus means for me? Well, I’ve never experienced that hot weather for such a long time in my home country (Poland), so have to admit: I love it! And also as it’s my second favorite season and it’s perfect for doing things that I really like, I could say it gives me lots of opportunities to spend time as I really love to. Especially when it comes to Georgian summer. Living in mountain country surrounded by mostly wild, untouched nature is perfect for someone who is really into trekking, hiking and low cost trips. 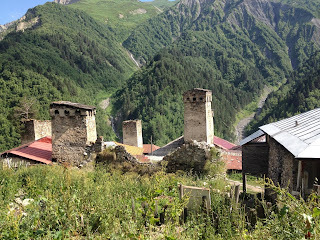 Because Caucasus is very backpacker’s friendly region. People are unexpected and unchangeable helpful and hospitable, and that’s why hitchhiking here is rather easy and fast. And also usually the only way to reach some very remote places, the less touristic and mostly unknown ones. Together with my friends-flatmates we travel every weekend to not to lose any moment of hot sunlight and fresh greenery around us. For me camping somewhere in the woods or at lake together with my friends is the award for whole day of hiking. Cooking at self-made bonfire and chatting meanwhile makes those evenings even more special. To not tell only about outdoor activities and travelling, I will mention how it’s to live almost at the desert where heat is even more noticeable. Yes, because Rustavi was built literally on the area without any forest around, some days it’s quite impossible even to work in the office! But you can easily help yourself buying fresh, juicy melon or watermelon at nearest bazari. And after work just lie on the grass and catch sunbeams or bike around the city, which cools you down. Yeah, strongly recommend. Mariusz Polish Volunteer - "It’s already the end of July, so half of the summer in Georgia passed. Weather is good, even extremely good – sun every day and temperatures basically never below 30 degrees, so we are trying to use it as much as possible. Weekdays I’m spending in Rustavi working in organization and trying to survive heat in the city, but for weekends I’m escaping as much as possible. I have already visited seaside and had a chance to tan as well as swim in super warm Black Sea. But lying on the beach is not the thing I enjoy the most, so more often I’m visiting mountains. 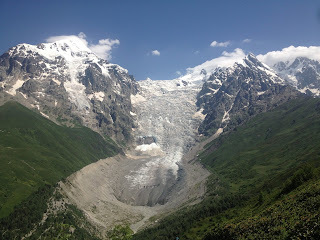 I already have visited Racha, where we hiked to the Buba glacier. The trek is amazing, although a bit tiring, but views are so great that it’s totally worth to do it. 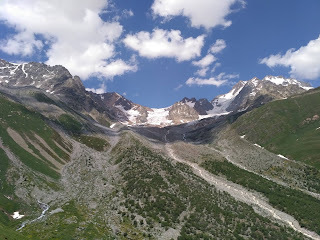 And it’s possible to do it in one day, so you can leave your tent and stuff somewhere (as we did in a remote place in the woods next to the border with Ossetia) and go to explore this region. 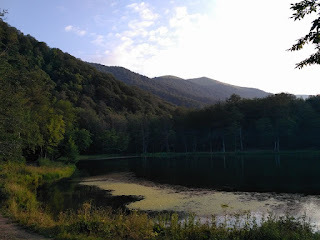 We also went to Armenia to do hike between Gosh and Dilijan, which is very easy and if you divide it into two days you will not be too tired and have time to enjoy the nature. Moreover, on the way it is possible to camp next to the lake and swim there, which makes the experience even more better. peaches, plums and much more. A lot of sun, a lot of fruits – what more one can expect? It’s just a straight way to lead calm, happy life "
The landscapes are magnificent !"